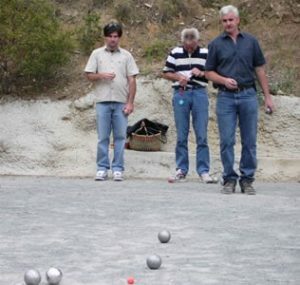 Pétanque originated in 1907 or 1910 in La Ciotat, in Provence, France. 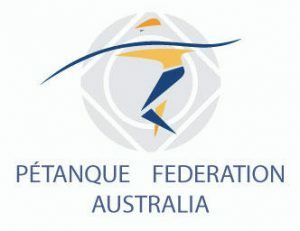 Petanque is a form of boules where the goal is to toss or roll hollow steel balls as close as possible to a small wooden ball called a jack while standing inside a circle with both feet on the ground. Pétanque is a bowling game distinguished by its flexibility, its short unprepared piste (playing field) and pitched boule delivery. Social rules are simple and the game is usually played with enjoyment and comradery the main priority. Teams are formed of one, two or three players and the object is to get a boule as close as possible to a small wooden jack or cochonet (pronounced cosh / o / nay). After all the boules have been thrown the team with the closest boules wins that end. Scores are by the amount of boules closer than the other team and the first team to 13 wins. Pétanque has many attractions, one of these being the small amount of equipment needed to get started. Two or three boules is all a player uses, and once bought these are about all you need besides a cochonet and some measuring equipment. Boules are very durable and can last indefinitely. No special uniforms are needed and the game is played all year round. Because anyone can play it makes Pétanque an ideal family game. Children love the game with its simple rules and like the fact they have a chance to win against adults. No – one can avoid being beaten sometimes because it can be difficult to predict how a boule will run on different surfaces. Reading the piste is one of the challenges that gives the game its charm. People with disabilities can join in a game without disadvantage, a variation in rules allows play from wheelchairs. Special magnets are available to help pick up boules which helps if you have a disability can’t be bothered bending down or you’re just not as young as you used to be. Pétanque is played by two teams, where each team consists of one, two, or three players. Players form opposing teams generally of one, two or three players. The maximum number of boules (metal balls) used in a game is twelve. From the circle the same team throws ONE BOULE to approach the jack. The opposition then throws a boule, attempting to get closer to the jack and continue to throw until they do so or run out of balls in the process, whichever comes first. 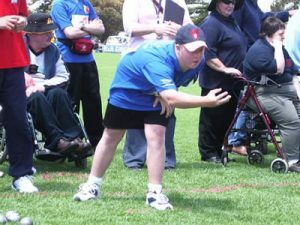 Once either side establishes a lead, at any stage of the game, the trailing side are obliged to throw until they regain the lead, or run out of boules.NOTE: This rule is quite different from lawn bowls where the teams alternate the throw. When all boules have been thrown the score is added up. The boule closest to the jack wins the end and scores one point for its team. Additional points are gained for any other boules the winning team have closer to the jack than the opposition’s best boule. Winner of the end draws a circle around the jack and begins a new end. Play continues until one side scores 13 points. These simple social rules will suffice at most times and help to describe the game. Question: If the cochonet is moved during the game what happens? Answer: Continue to play on the cochonet in its new position. Exceptions are if the jack is lost, moves out of bounds or stops more than 20 metres from the circle. In these cases begin that end again. Question: How do you throw the boules? Answer: In any way you like, as long as your feet don’t leave the ground. If you think you have the game worked out and are curious enough to try it out please come along and join in. Our Club does it’s best to make everyone feel welcome and will help you out to the best of their abilities. If you would like more information please contact us.